As mentioned in previous entries, the first book I bought in the beginning of 2011 was a book by Dr. MAZA. 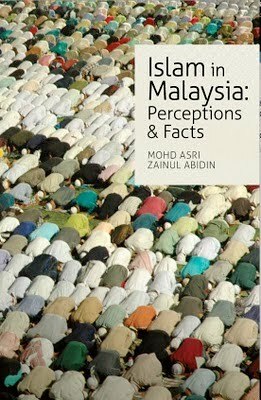 It helps me to understand the situations of Muslims especially in Malaysia. This book was a compilation of some of the articles by the author, and has been published in his website (http://drmaza.com/home/). Honestly, it was used to add some information regarding to Malay Muslim Society in my thesis. Among my favourite articles in this book are; 'Peace be Upon You', 'Islam: Fact and Fantasy', 'The Balance of Worship and Development', 'Women's Rights: Allah's Will and Our Failure', 'Extremism in Argumentation', 'Understanding the Ulul Albab', and many more. There are still some articles are not read yet.. It was a long time ago that I stopped buying a novel, but I think I have to wash my brain with a simple reading especially after finishing my thesis writing. So, I bought this cute greeny book and start reading it at the end of January. There are a lots of values discussed in the book especially the lessons of Morrie Schwartz imparted to his student, Mitch Albom. It was written based on a true story between a student and his favourite Professor who was waiting the death in suffering a serious disease. They chose Tuesday as the day that they will discuss together and the moment that they will share any issues happened around them. One of lovely quotation by Prof. Morrie from that book is "Learn how to live, and you'll know how to die; learn how to die, and you'll know how to live" which emphasizes on the value of life, time and love. Book review in detail can refer to Mitch's Blog (HERE) and Portal PTS (HERE). You can click HERE if you want to know who is the real Morrie and Mitch. This book was bought in Toko Buku Sakinah, Pekanbaru. A simple history of Syeikh Hassan al-Banna by knowing his family background, educational background, his Jihad work by establishing Ikhwanul Muslimin, and his influence toward Islamic history. This simple book was designed to remember al-Banna's struggle in reforming Islam especially in Egypt. May Allah bless him for his great works. I love this book. It is not mine, but borrowed from IIC Library. Actually, I found this book through one of my students. This book is an attempt to study the methods of the Prophet in dealing with mistakes made by people of different levels and backgrounds, among those who lived with him and with whom he interacted. Correcting methods mistakes is one of the teaching methods taught by the Prophet PBUH, as some Quranic verses were revealed to correct some mistakes of him and the Companions. In in this book, the author has compiled many methods of the Prophet for teaching people and correcting their mistakes. It is really an excellent reference in educational methodology. This book can be downloaded in Pdf and Word Doc in HERE. This book is a compilation of more than 100 of the most influential speeches ever made by human in history. It was compiled by Cathy Lowne in which he divided all speeches into many chapters; ancient history, love, religion, science, patriotism, philosophy, humanity and liberty, sport, politics and war. Many of those speeches have inspired people to act, some have changed the way people think or look at the world, and some might gave good and bad impacts to others. However, the best speech can never compete the divine speech of Allah compiled in the Holy Quran. This book is a free book given to all participants in WISE programme, organized by HAKIM. It is an excellent programme which will produce many knowledgeable person, InsyaAllah. This book is an important book that should be read by all Muslims. My myself still not finish the book yet. Among the contents of the book is about the questions asked by Muslims, Problems faced by Muslims, Characteristics of Western Culture, The understanding of religion, Justice, Knowledge, Culture, Position of religion, Freedom and Ethics, Change, Development, Language, Literature and Arts, Secularization, and many more...One of my friends shared his view on this book, which can be read HERE. The title of this book can be explained as 'Moderation life is full of Blessings'. I love the title of this book. It encourages us to live in this world in a moderate way which is the best way to get the blessings of Allah. Richness will not determine anything, but His Blessing is much more important. So, lets live in the simplest way, but the fastest way to get His Mercy and Love and all Happiness that promised by Him in the Hereafter.. I borrowed this book from my friend and will read it starting on March, InsyaAllah. This book compiled many articles from different authors by sharing their opinions on the power of the word and writing. It is a unique book by its shape of book, type of paper and special contents. This book is a good book for those who tend to be a writer as well to a book reader. **Need to find another storage box to keep all my new books..huhu..